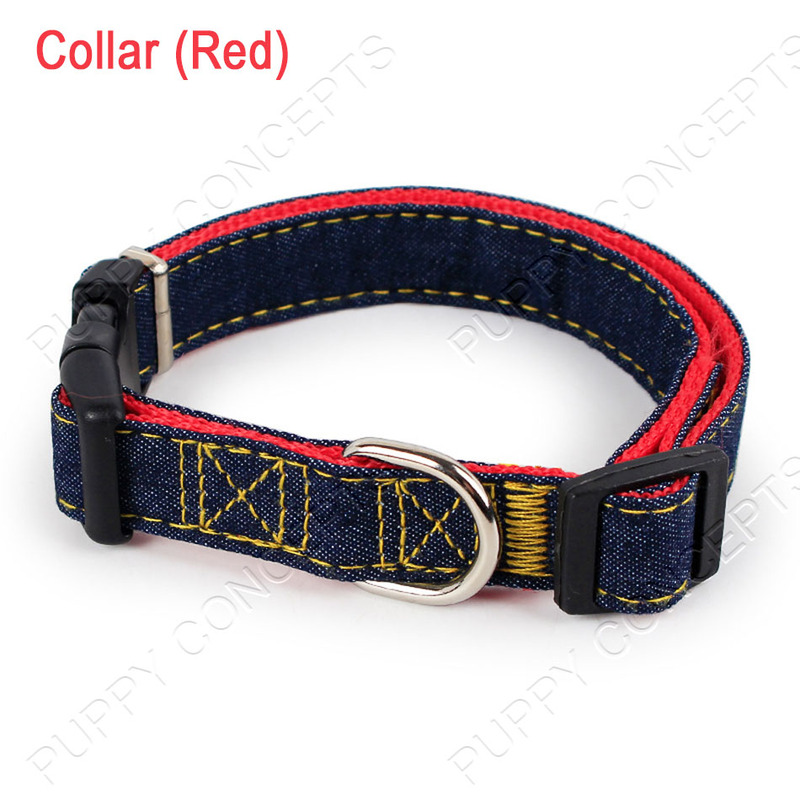 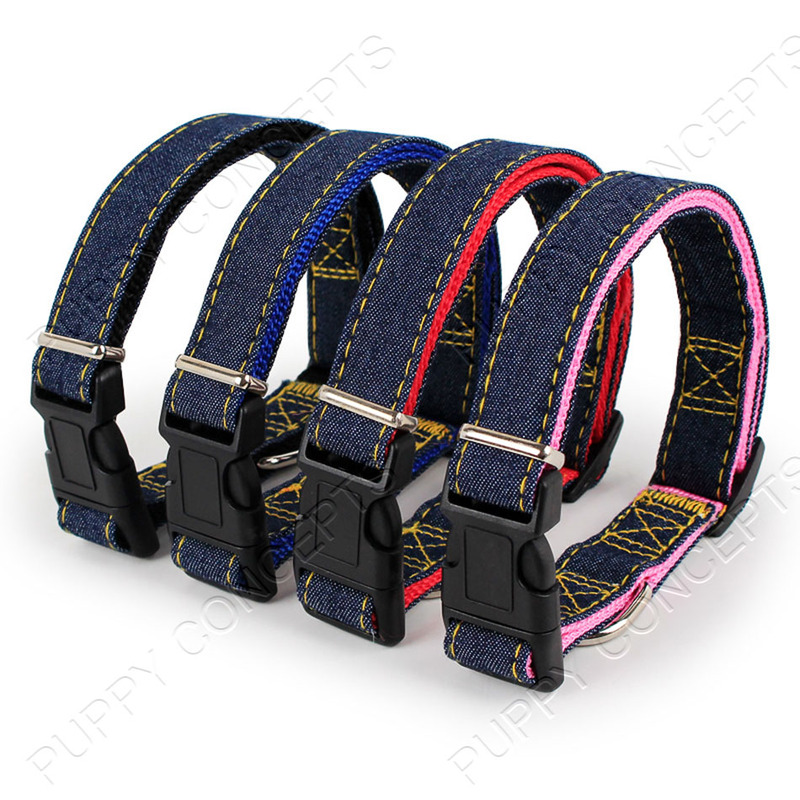 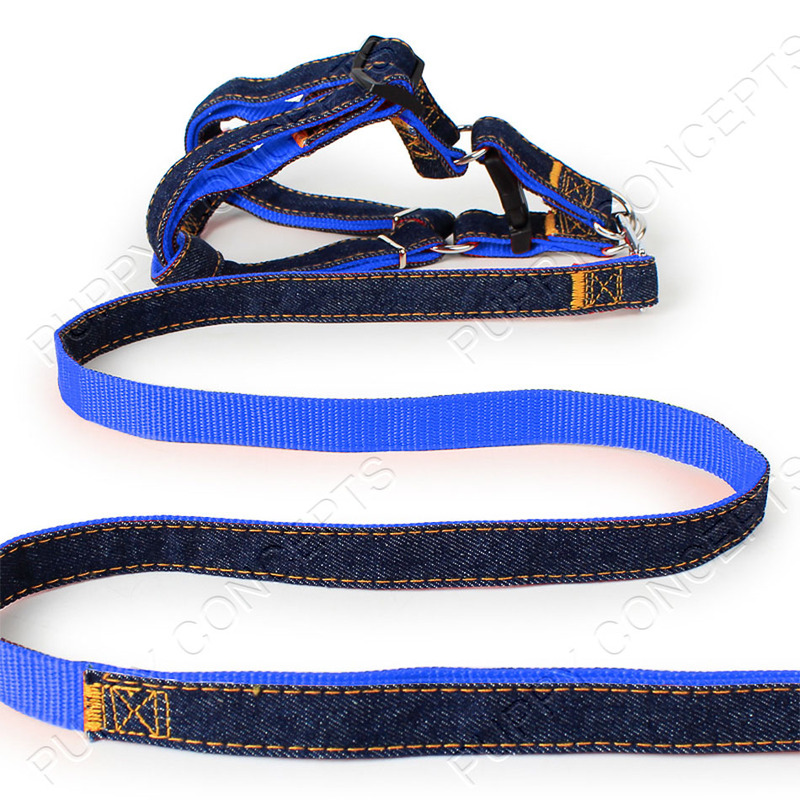 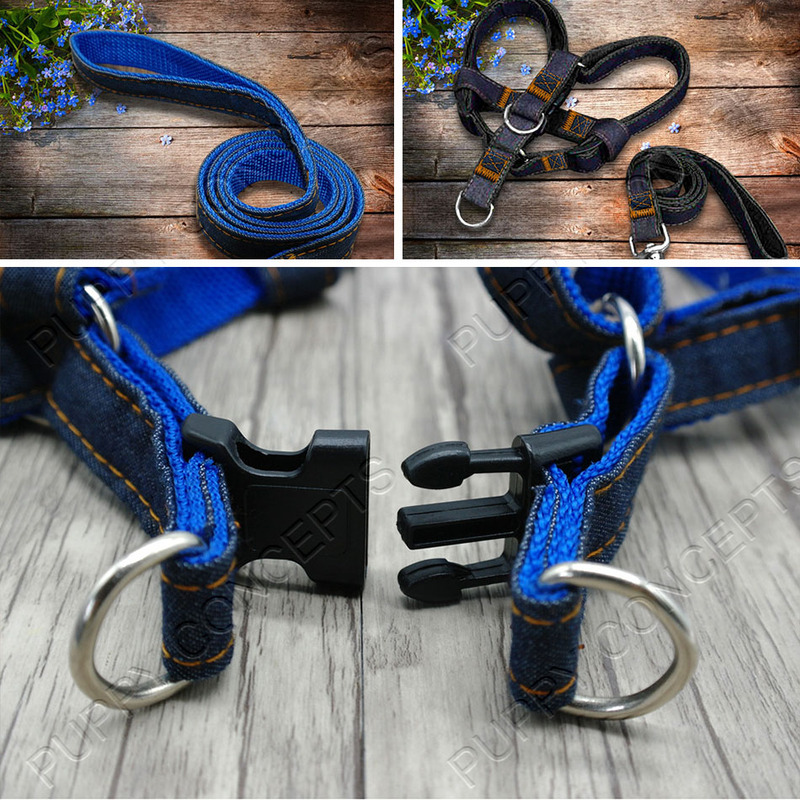 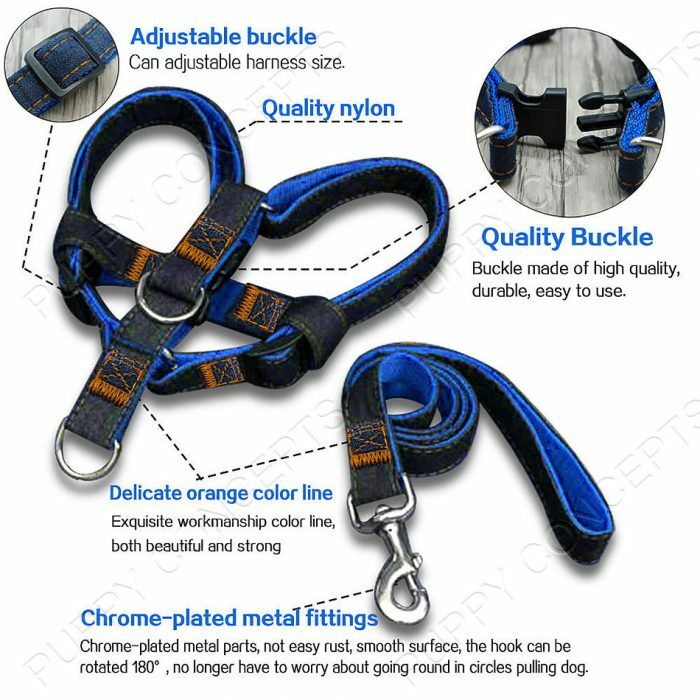 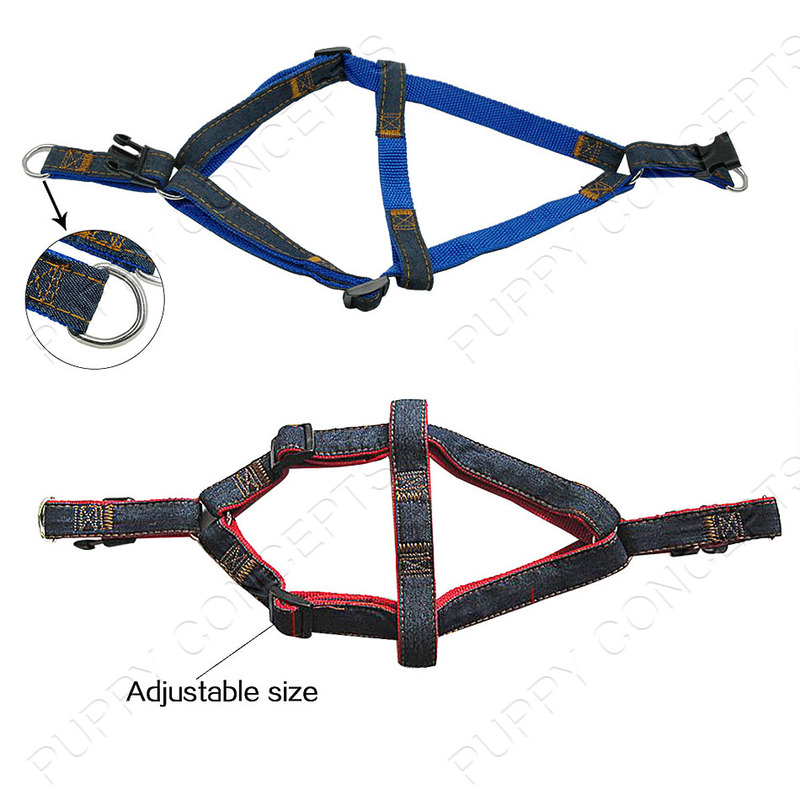 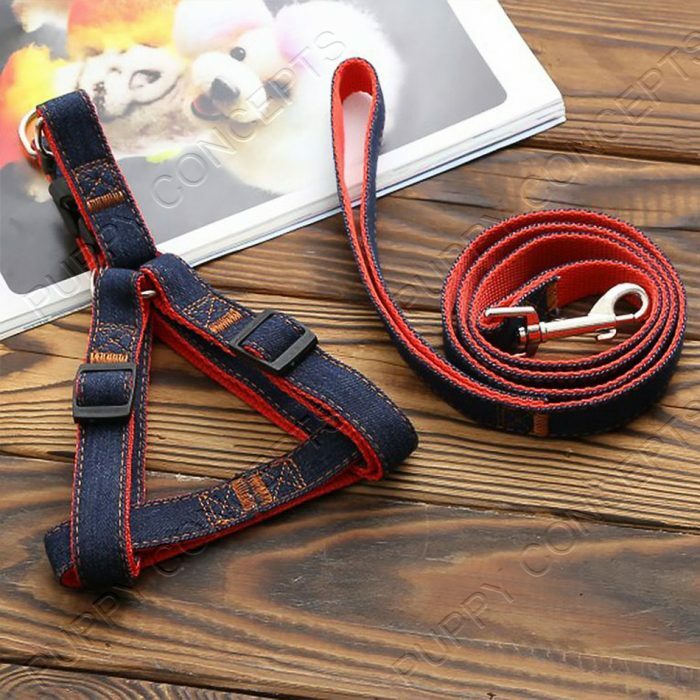 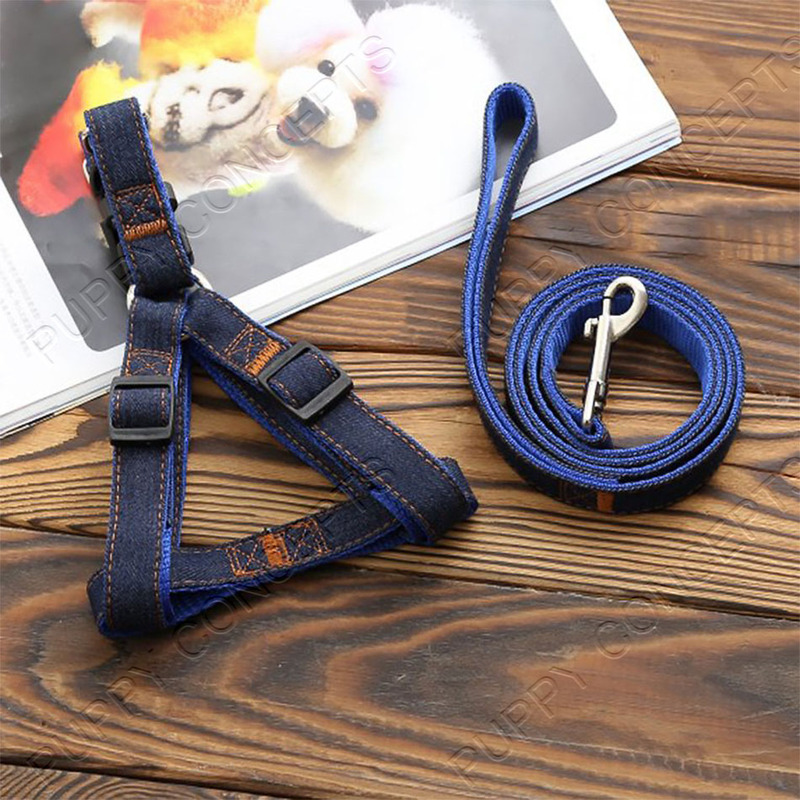 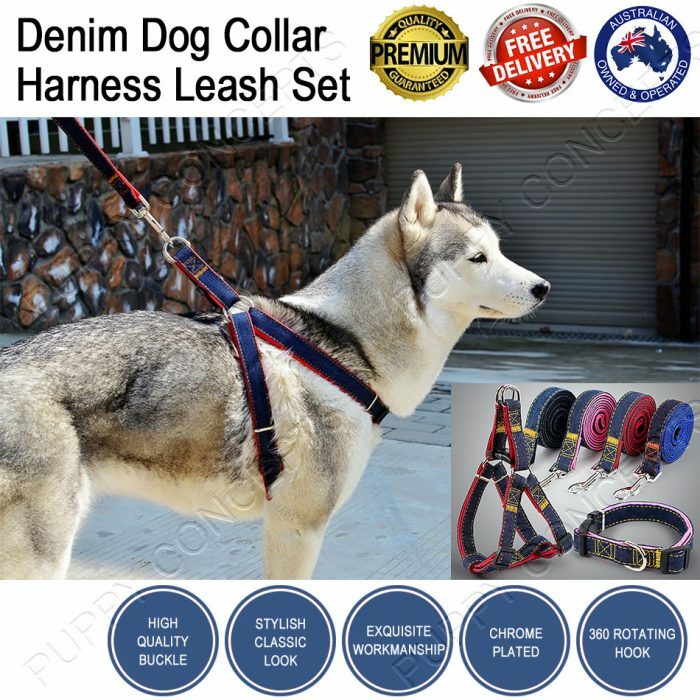 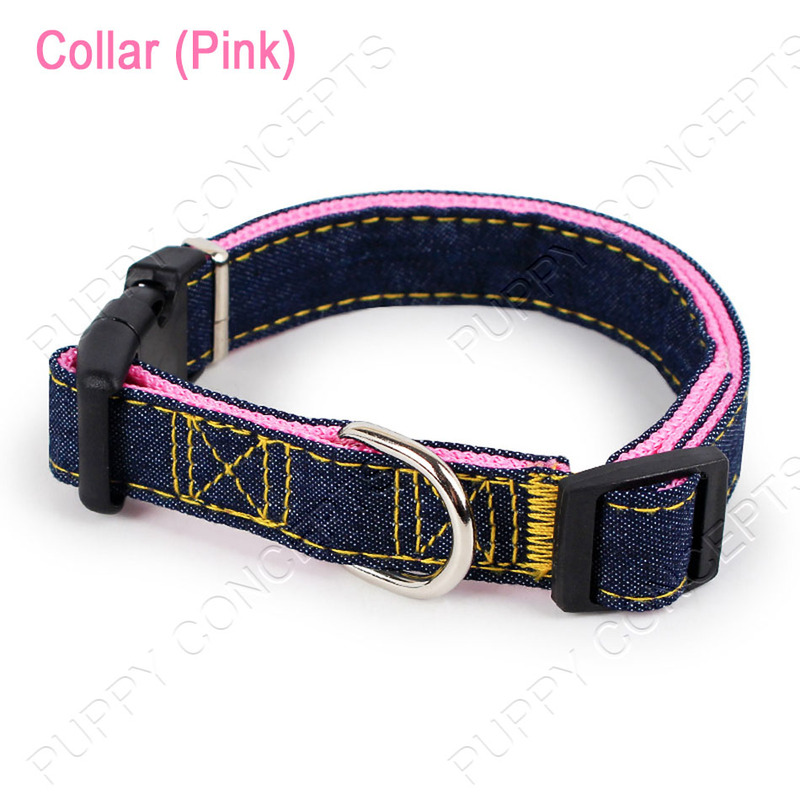 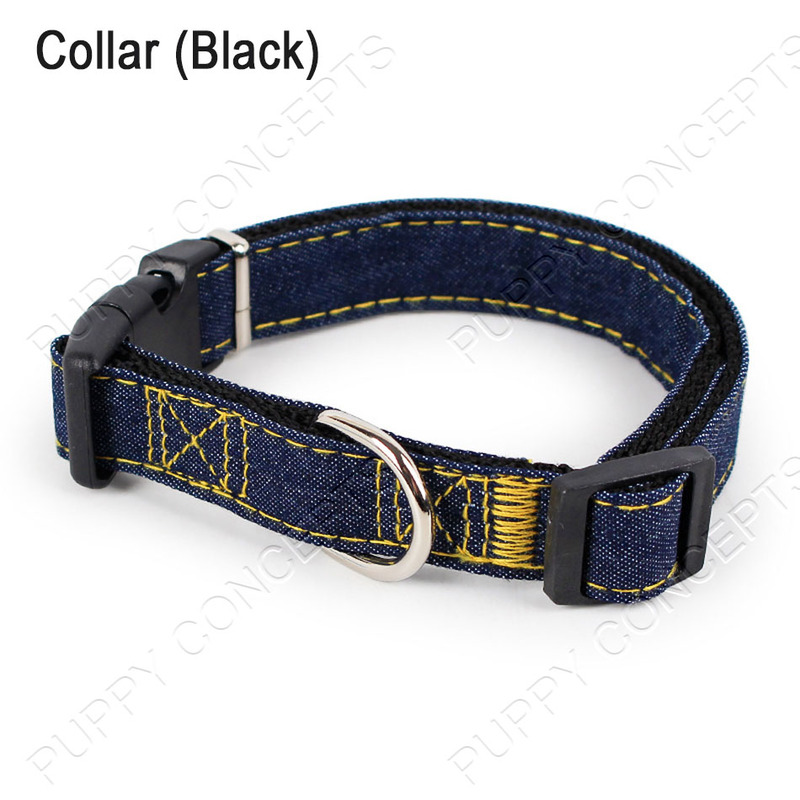 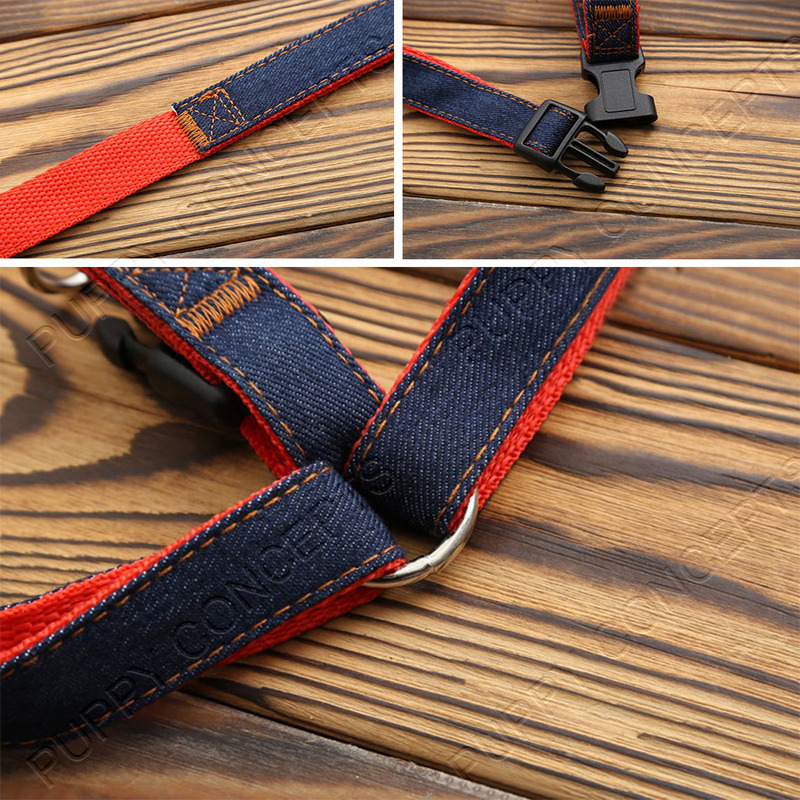 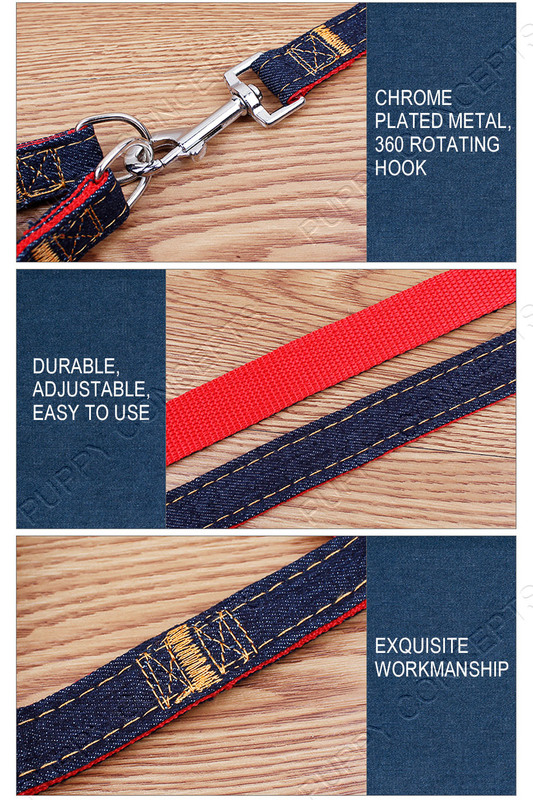 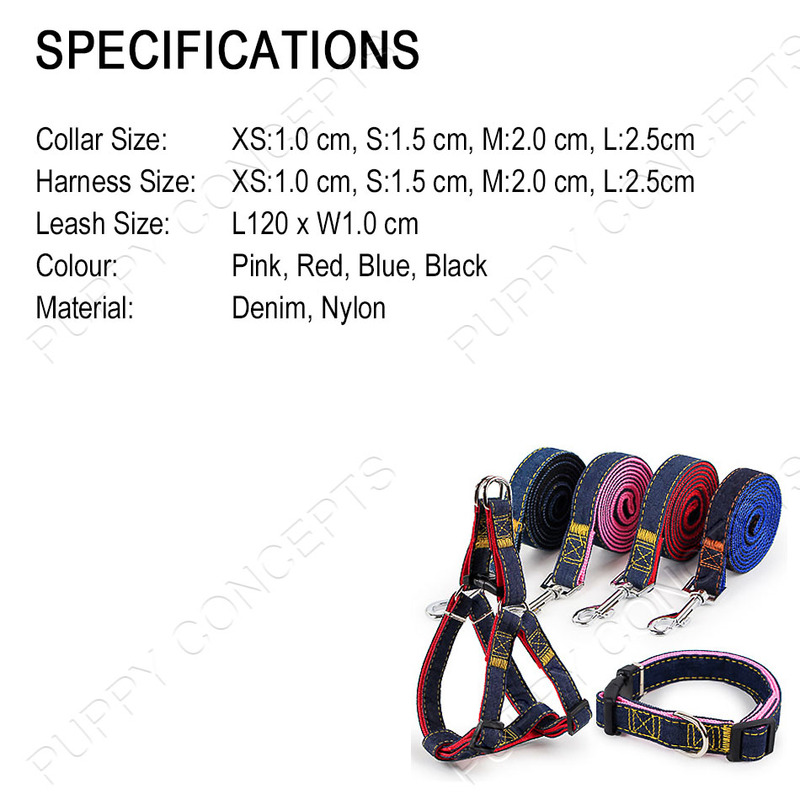 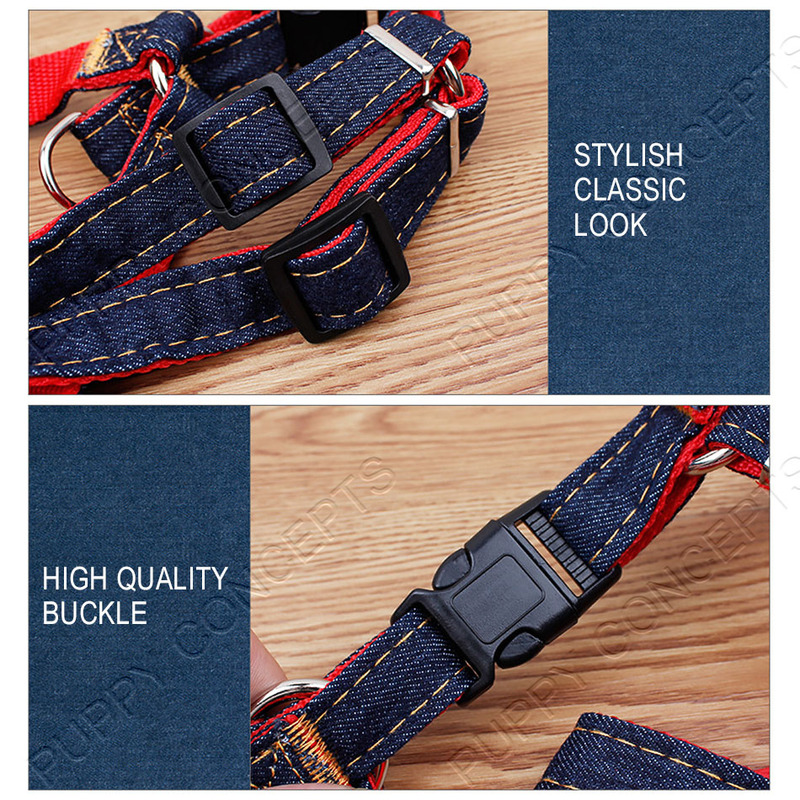 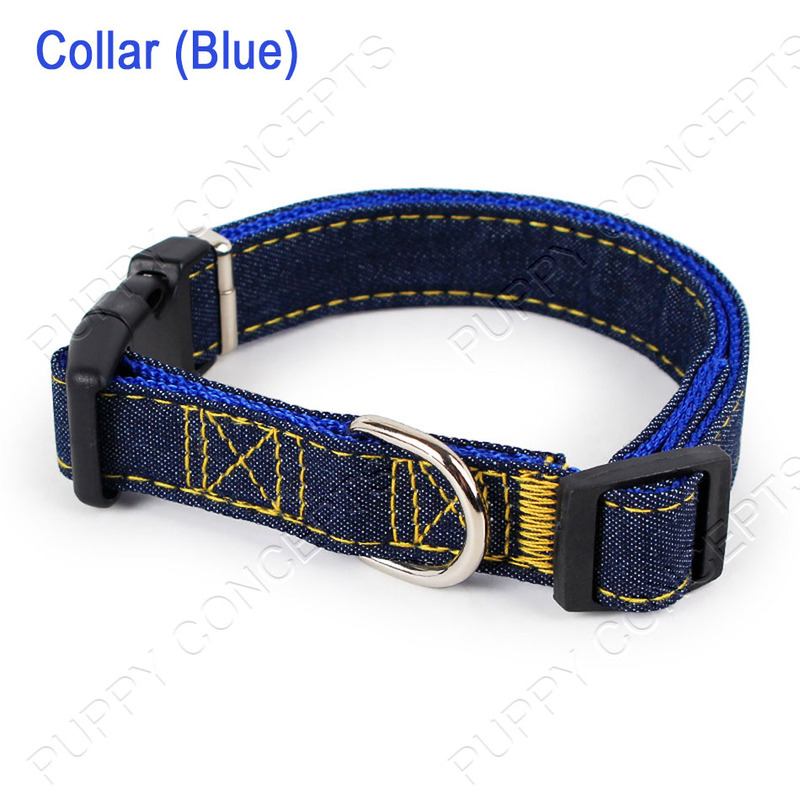 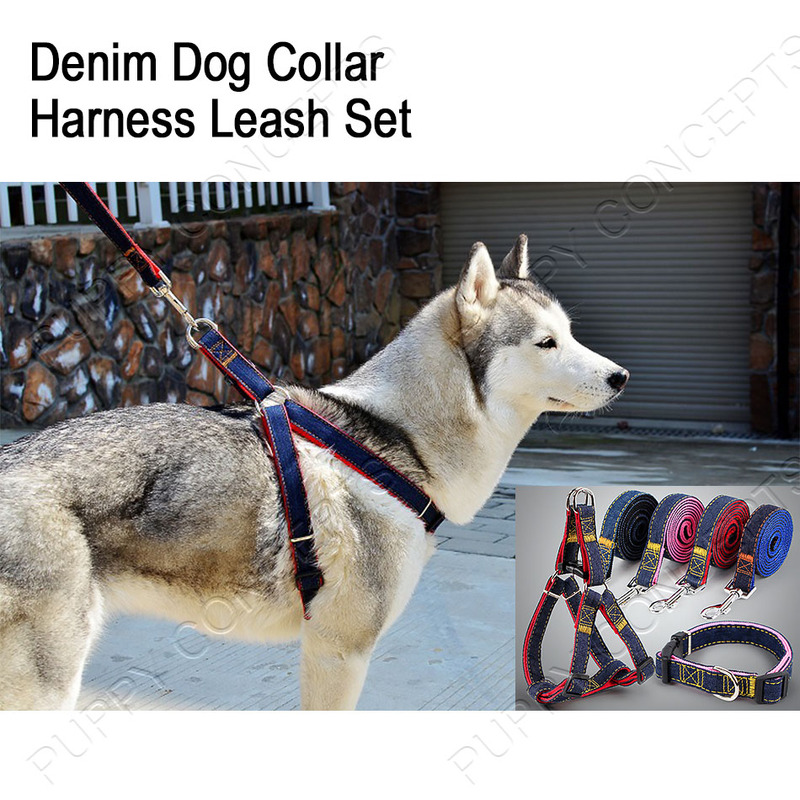 Our denim dog collar harness leash set is made of two layers of sturdy solid denim fabric on top and comfortable coloured nylon cloth on the inside. 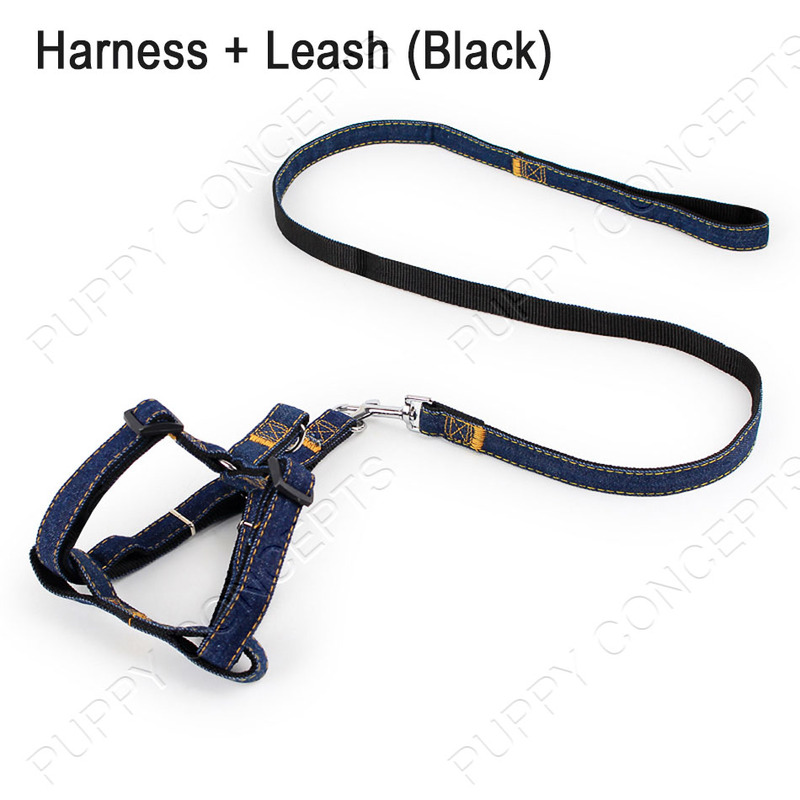 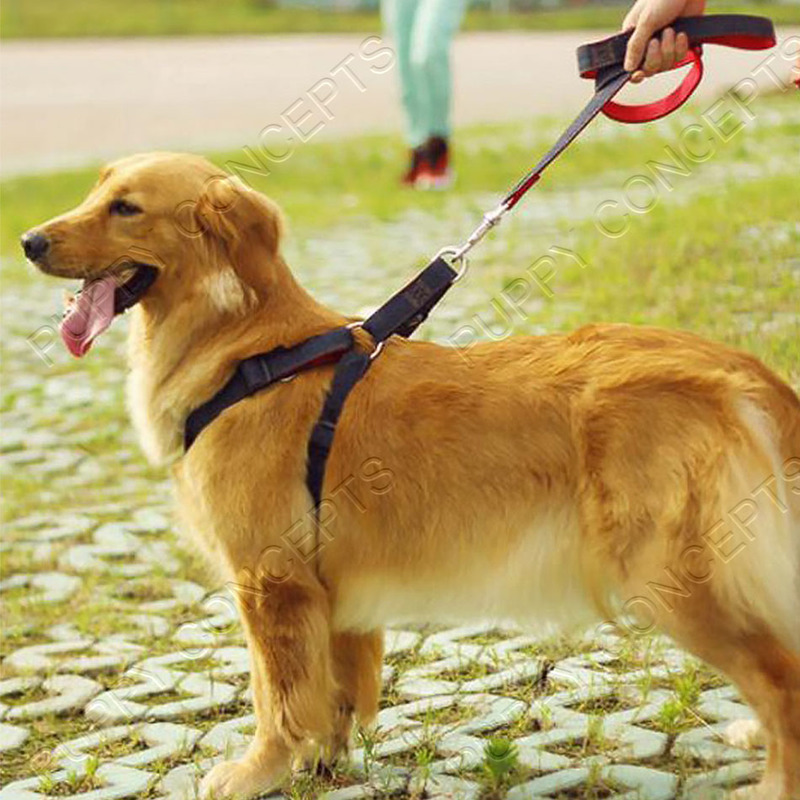 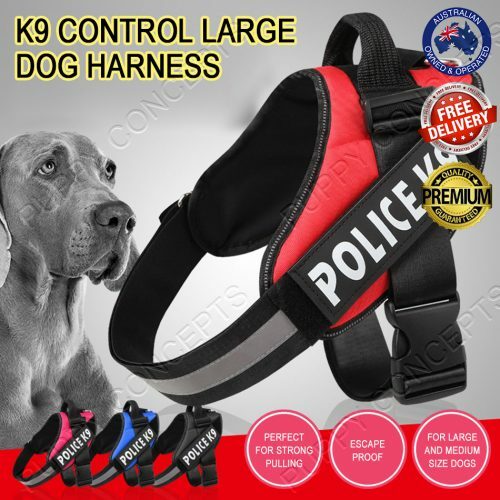 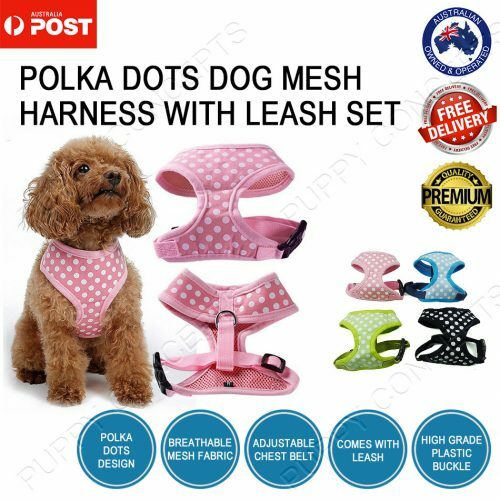 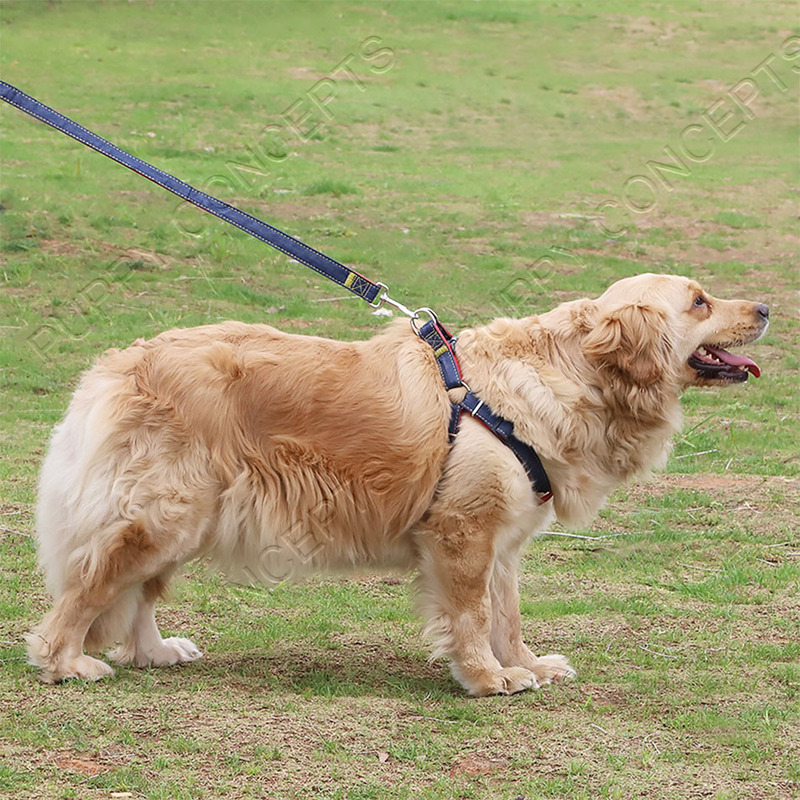 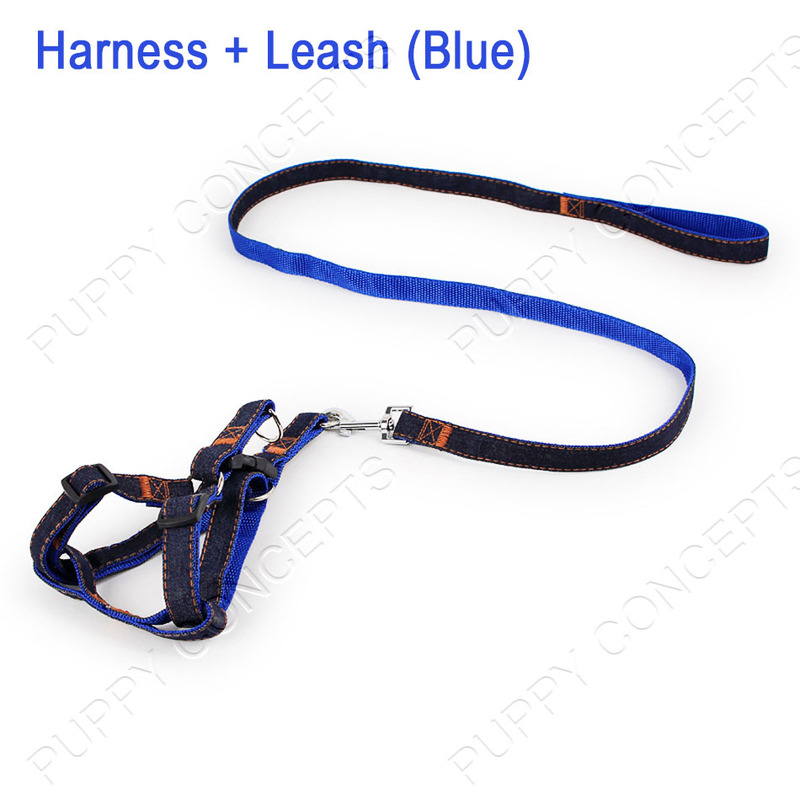 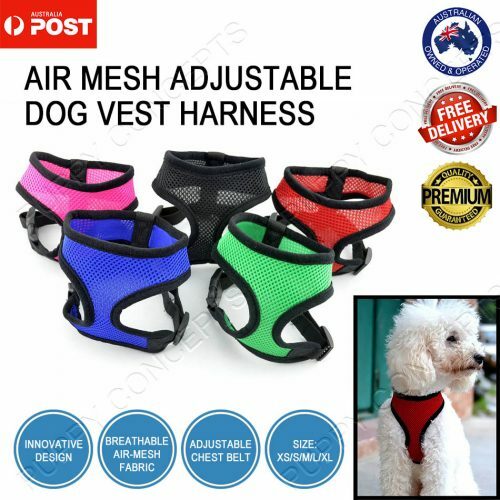 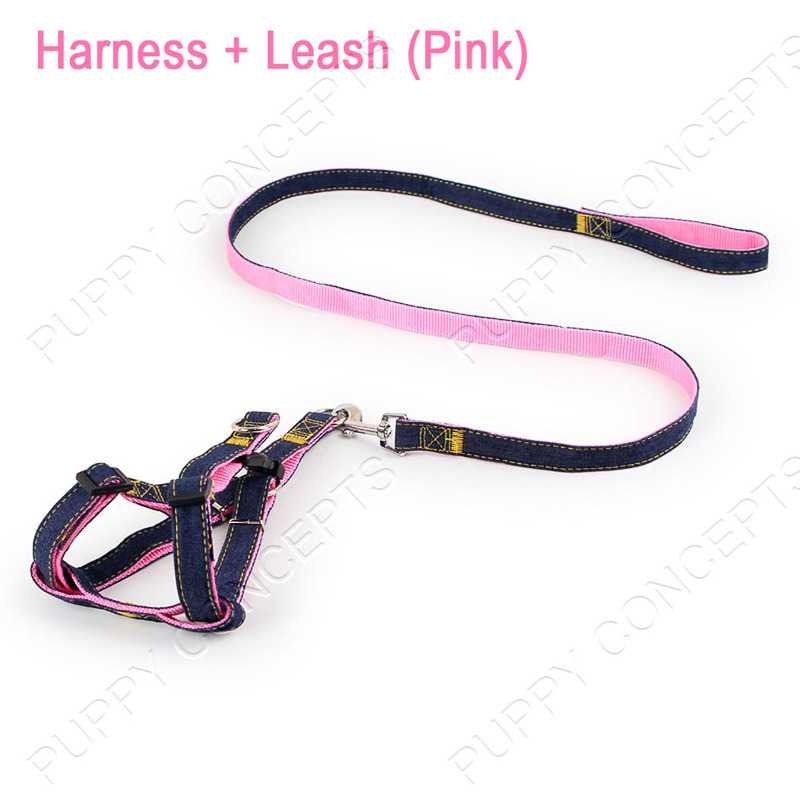 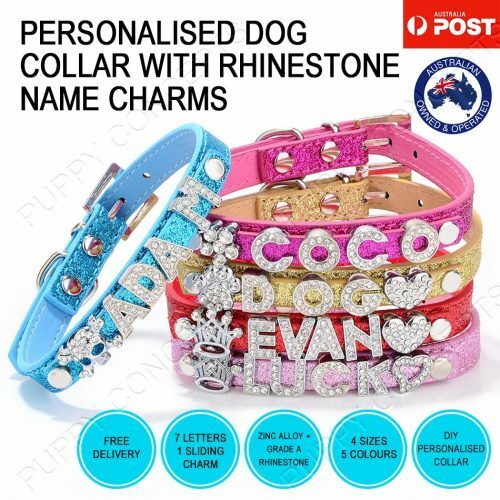 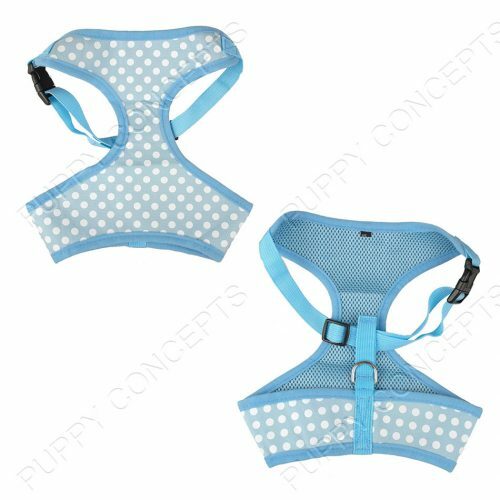 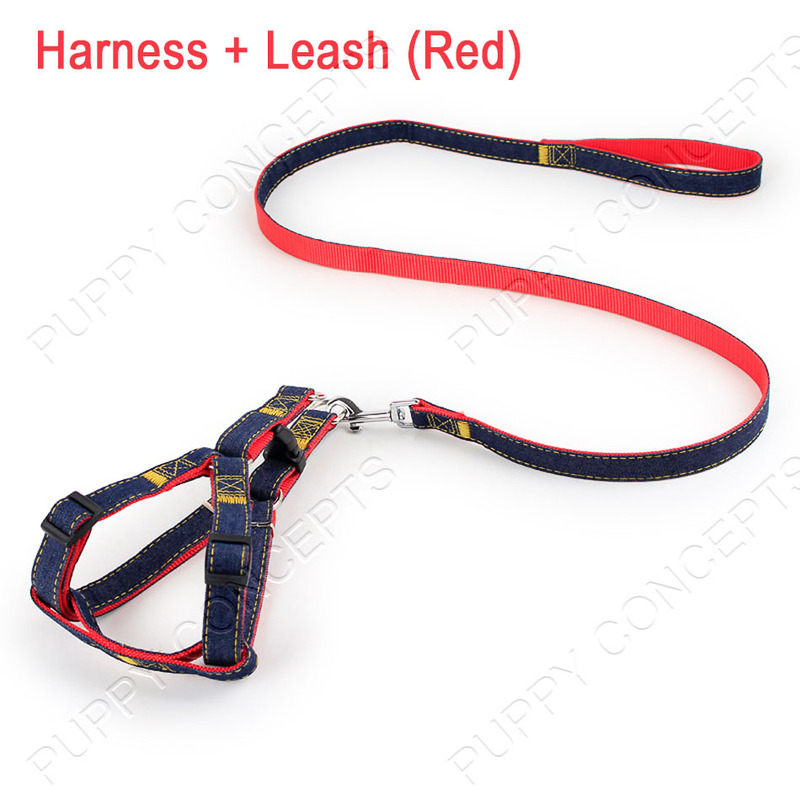 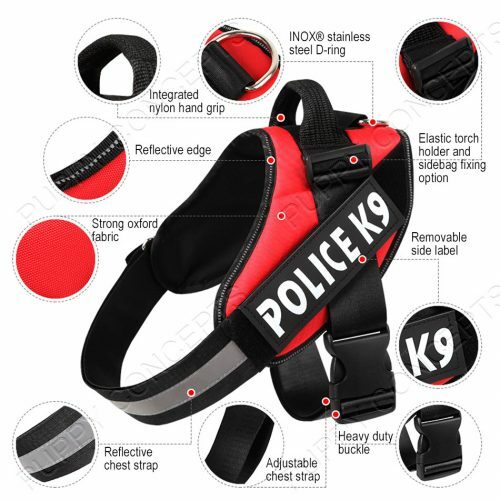 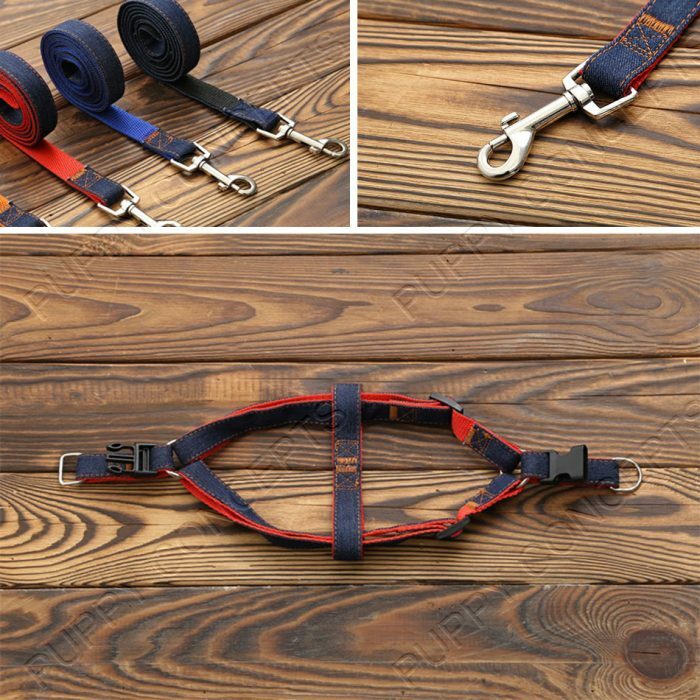 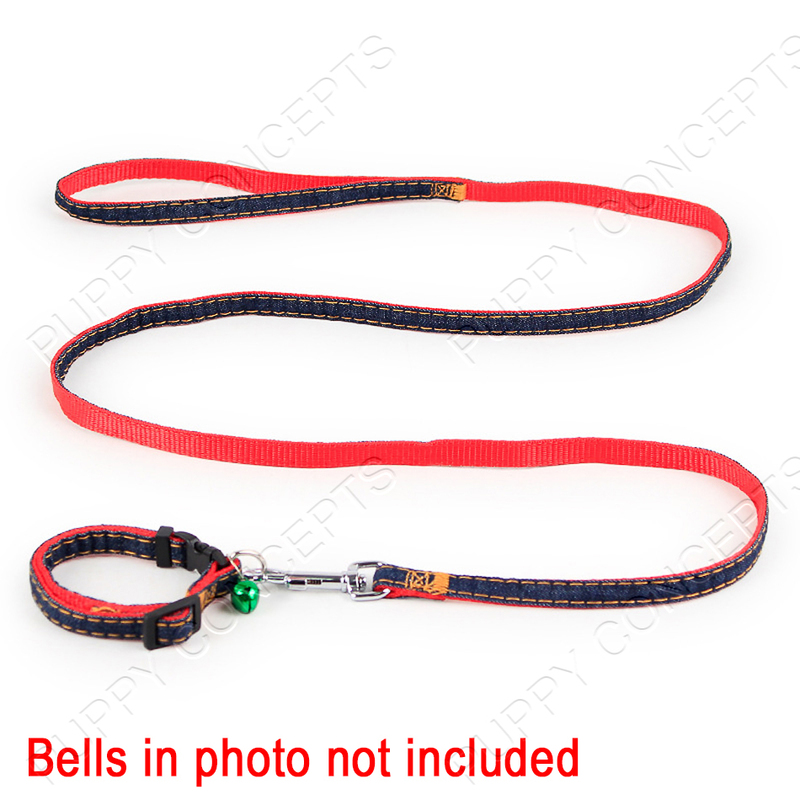 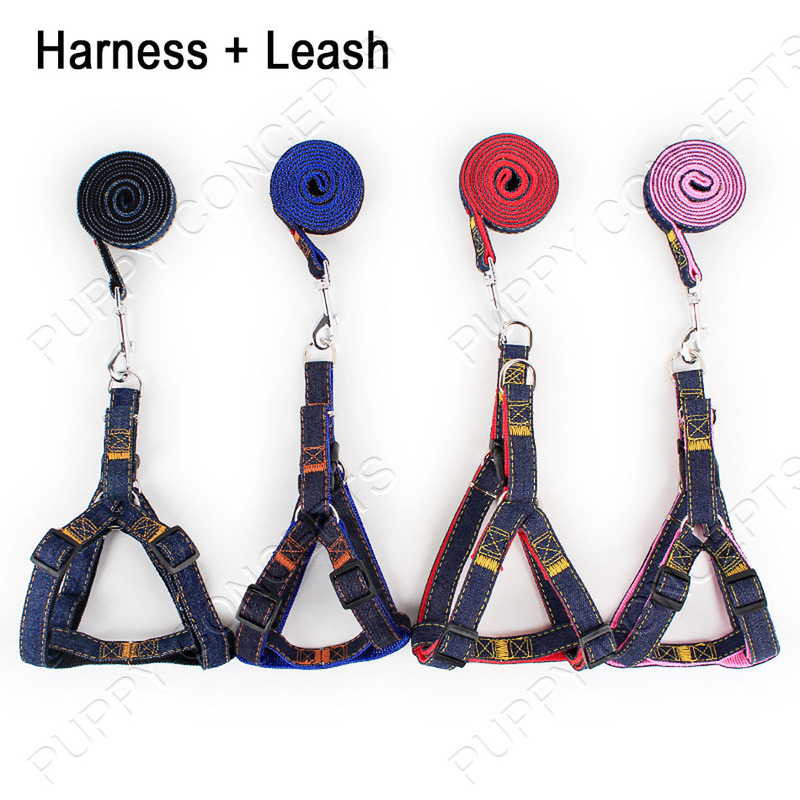 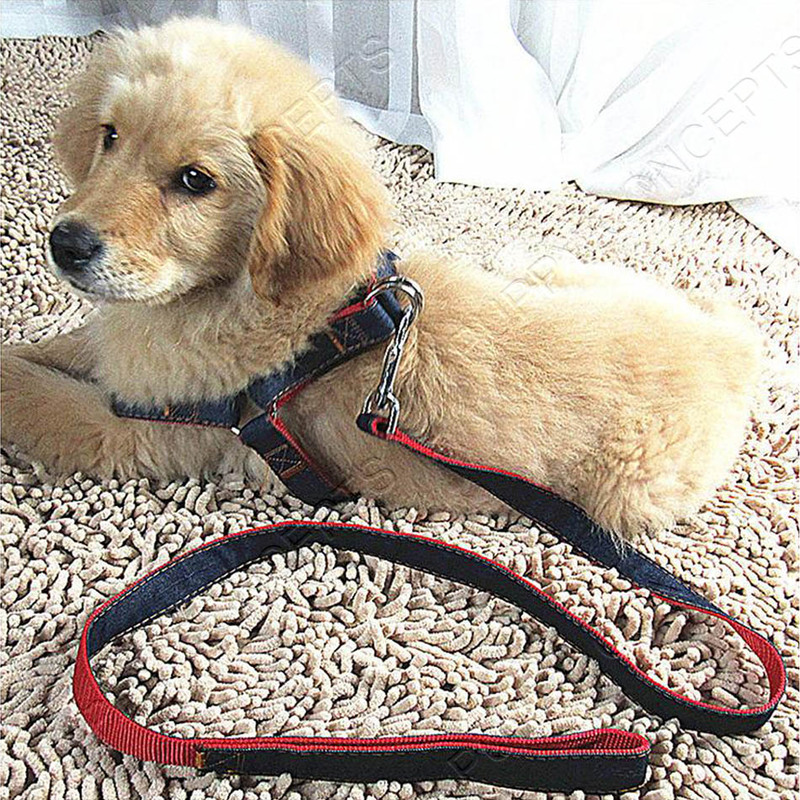 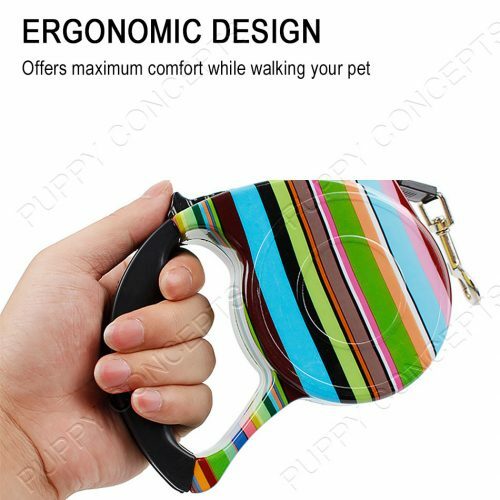 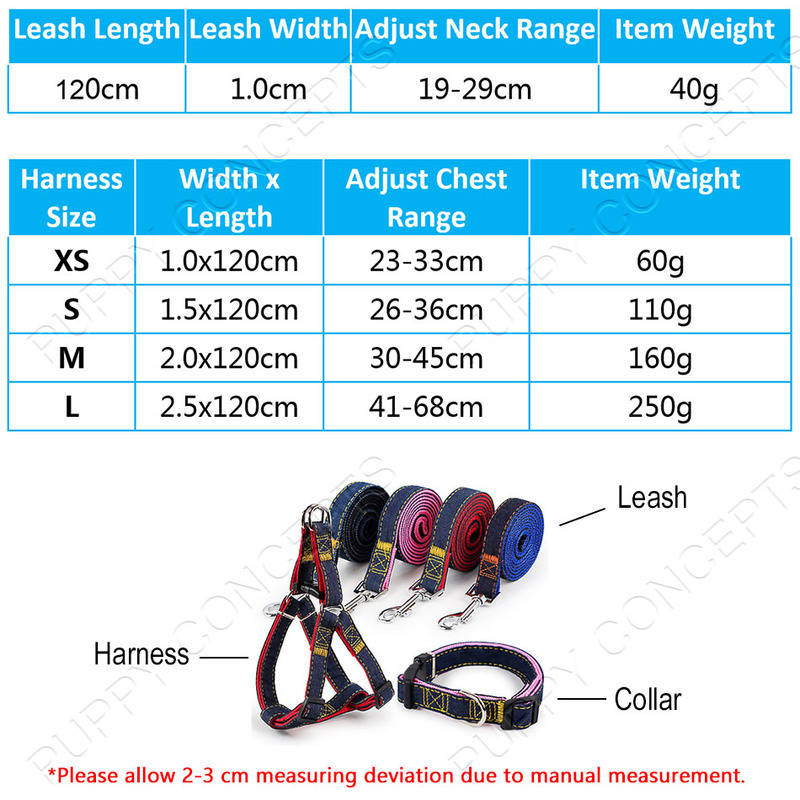 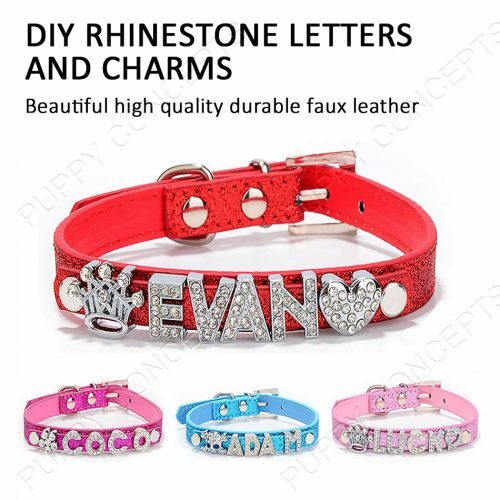 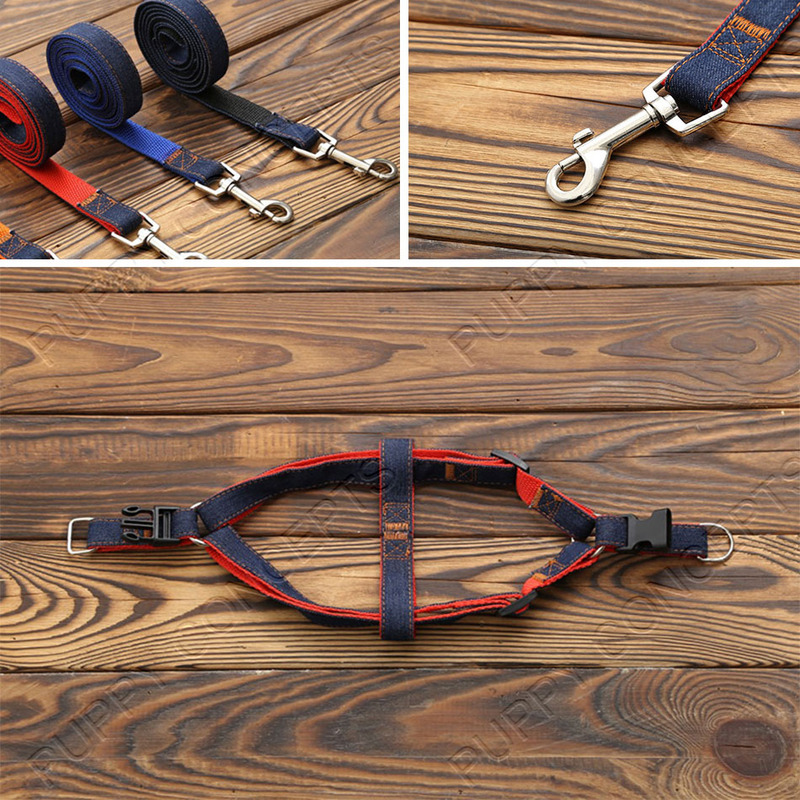 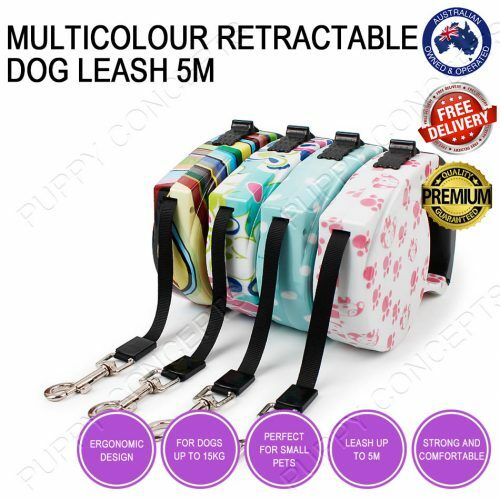 Charming neat stitching makes the well-made durable dog leash harness incredibly resistant to wear and tear. 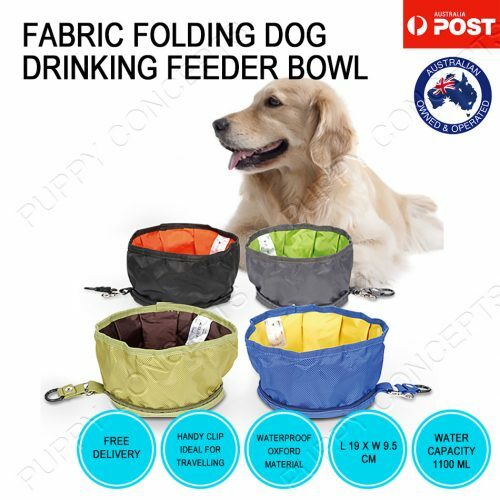 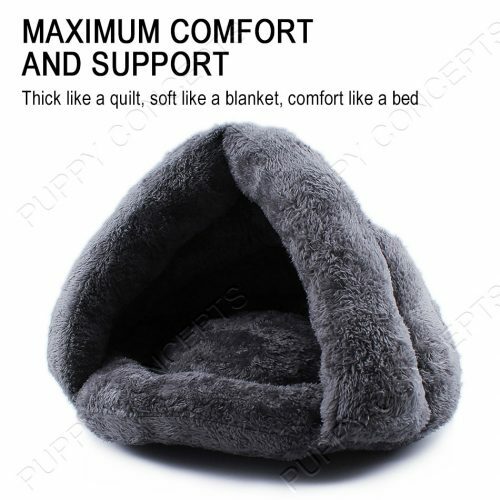 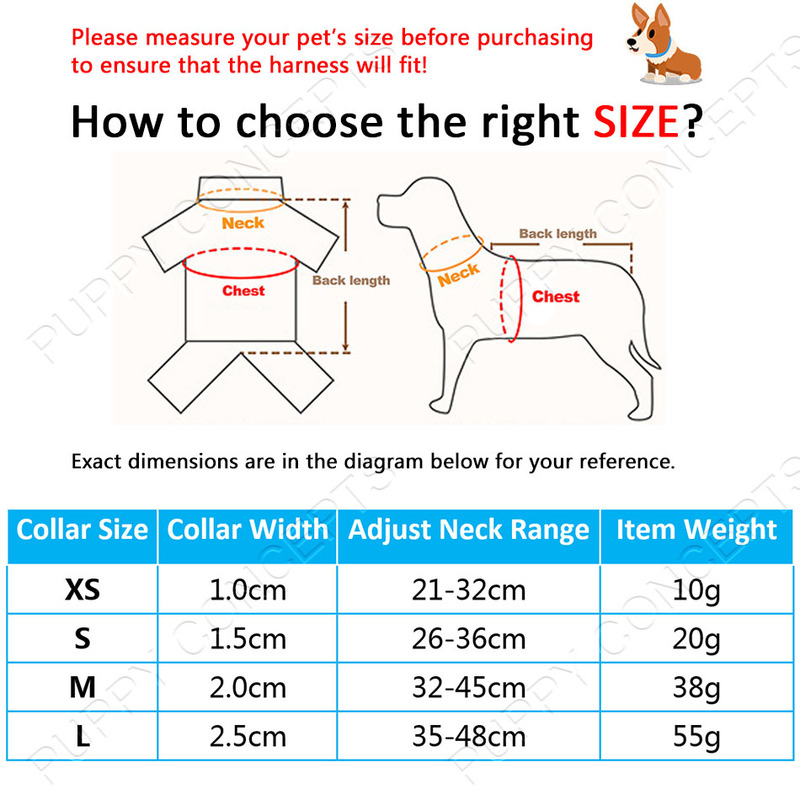 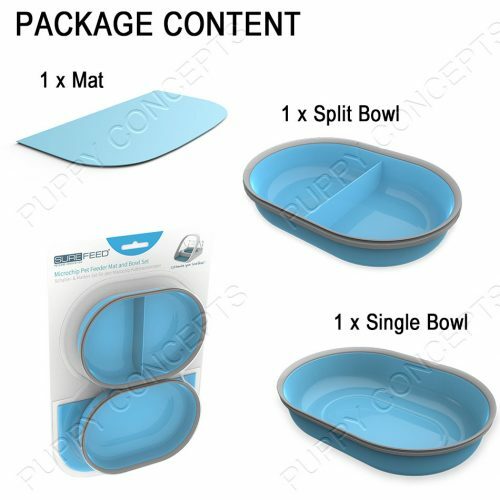 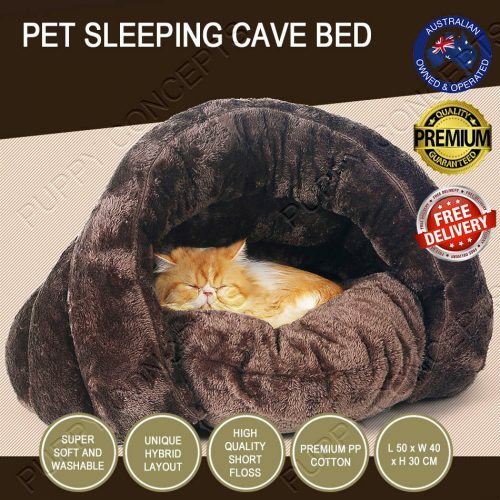 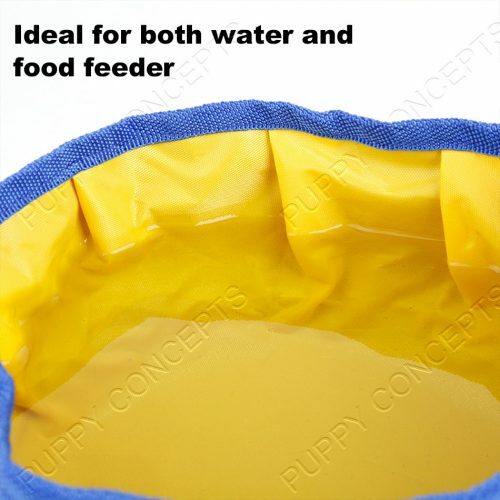 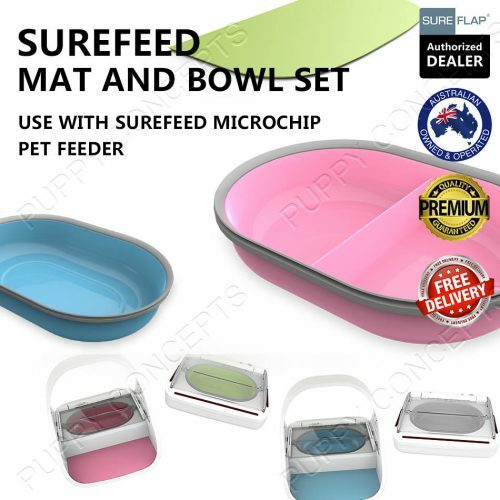 Please measure your pet’s size before purchasing to ensure that the item will fit!